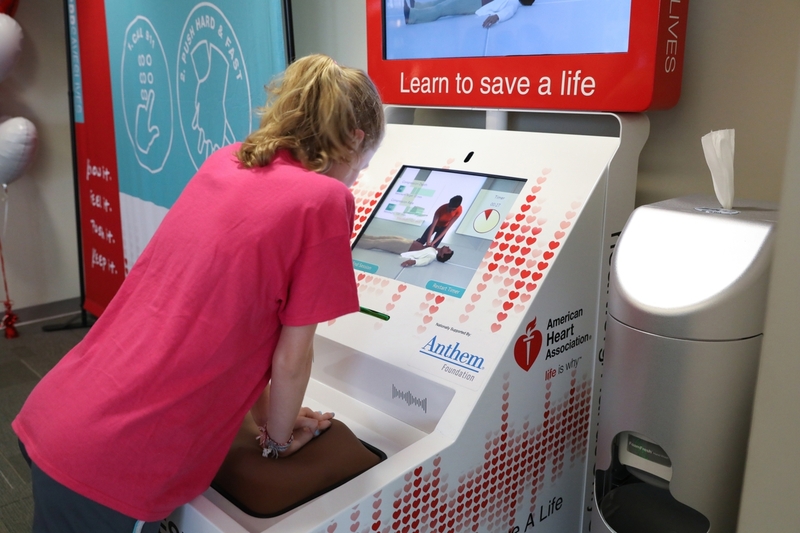 DALLAS, Aug. 21, 2018 — More than 100,000 people have been trained in the life-saving skill of Hands-Only CPR since the American Heart Association, the world’s leading voluntary health organization dedicated to building healthier lives, free of cardiovascular diseases and stroke, launched its Hands-Only CPR training kiosk program in 2016. As part of the program that is nationally supported by Anthem Foundation, the Association has placed 30 of these interactive devices in cities across the country. 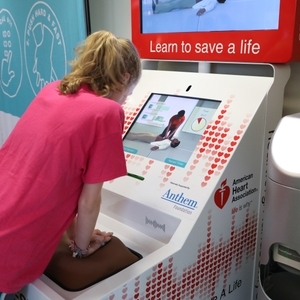 The latest kiosk is located at the Indianapolis International Airport, which is now home to two units that provide travelers with an opportunity to learn Hands-Only CPR. 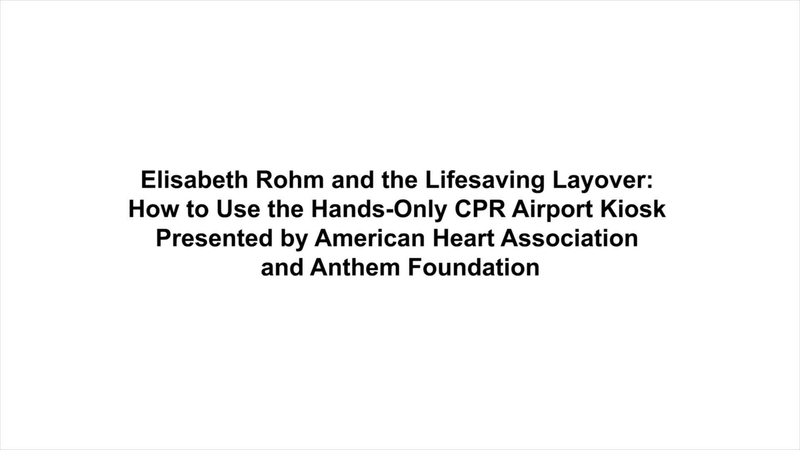 The majority of the Hands-Only CPR training kiosks are located in high-traffic, public locations, such as airports, across the United States. Each year, more than 350,000 cardiac arrests occur outside of the hospital, and more than 20 percent occur in public places. CPR, especially if performed immediately, can double or even triple a cardiac arrest victim’s chance of survival, according to the Association. 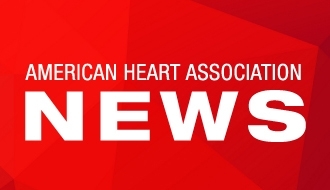 American Heart Association leaders envisioned a self-instructional kiosk employing the latest technology as they considered unique approaches to doubling survival from cardiac arrest, doubling the rate of bystander CPR, and training 20 million people annually in CPR, which are among the organization’s 2020 goals. 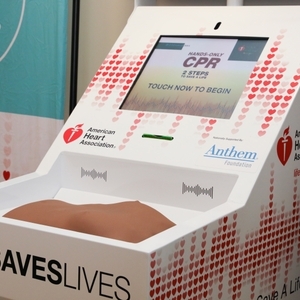 As the Association considered this training solution, a question emerged: would members of the general public be compelled to learn CPR on their own if they encountered a training kiosk in a high-traffic area? The Association put this question to the test in 2013 when they developed a pilot kiosk that was placed at Dallas-Fort Worth International (DFW) airport. 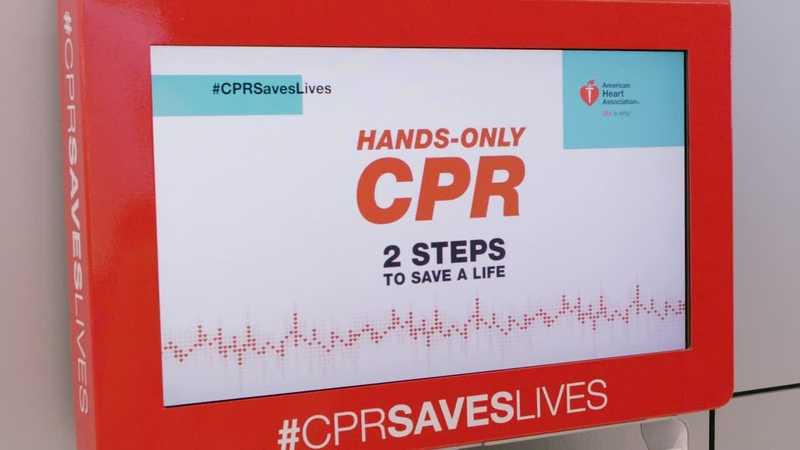 Research published in the scientific journal Resuscitation showed there was noticeable interest by the public to learn Hands-Only CPR through the use of the kiosk. During a 32-month period from July 2013 to Feb. 2016, nearly 23,500 visitors tried the device. 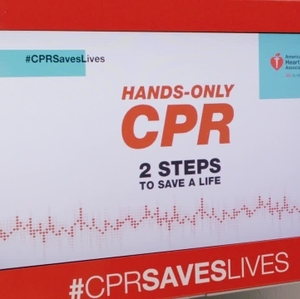 Each kiosk has a touch screen that displays a brief instructional video about Hands-Only CPR, followed by a practice session and a 30-second test. 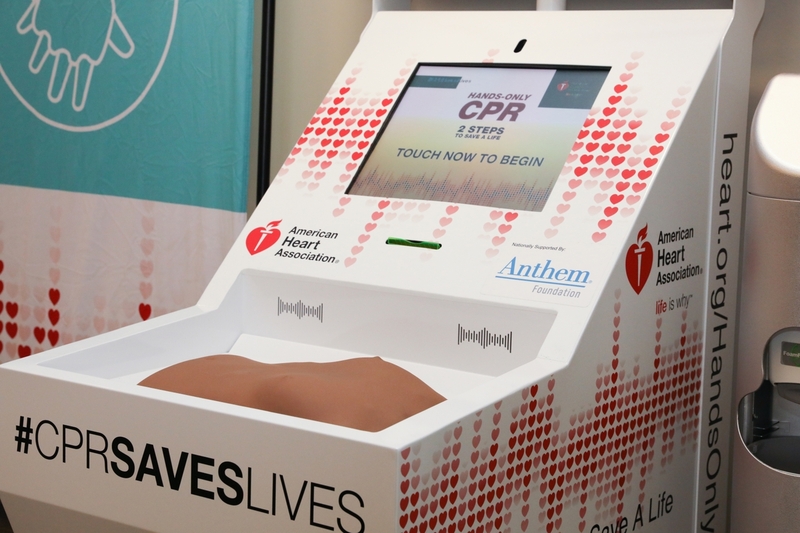 With the help of a practice manikin, the kiosk gives precise training feedback about the depth and rate of compressions -- factors that influence the effectiveness of CPR. The training session takes about five minutes. With founding support from Anthem Foundation, the Association rolled out the kiosk program with the installation of five units in spring 2016. In addition to the Foundation’s continued financial support, the program has expanded with kiosks sponsored by local organizations installed in various cities from 2016 to 2018. Data from the kiosks, including the Association’s pilot kiosk at DFW Airport, recorded 230,547 visits and 110,649 people trained through June 30, 2018. To increase the likelihood of people performing CPR in an emergency, the Association recommends Hands-Only CPR, which has two steps. First, call 911 when you see a teen or adult suddenly collapse, and then push hard and fast in the center of the chest until professional help arrives. The kiosk training has already saved lives. After learning on the DFW airport kiosk in April 2015, Matt Lickenbrock saved a life when the victim suffered a cardiac arrest after being struck by lightning at the University of Dayton in Ohio. Shortly after a kiosk was installed at Indianapolis International Airport in March 2016, an airport police officer named Jose Munoz started practicing Hands-Only CPR on the device. A month later, Officer Munoz performed Hands-Only CPR on an airport traveler who suffered a cardiac emergency. The woman survived. nationally by an educational grant from Anthem Foundation. Since 2012, nearly 10.1 million people have been trained in Hands-Only CPR via events, training kiosks and video education with the Foundation’s support. To learn more about the Hands-Only CPR campaign and be prepared to save a life, visit heart.org/handsonlycpr or facebook.com/AHACPR. 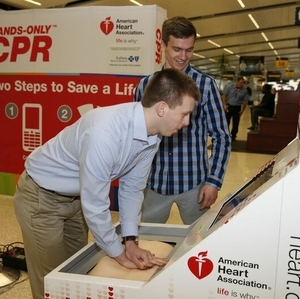 Cardiac arrest survivor Sean Ferguson practices Hands-Only CPR on a training kiosk at Indianapolis International Airport in 2016 with friend Matt Lickenbrock. 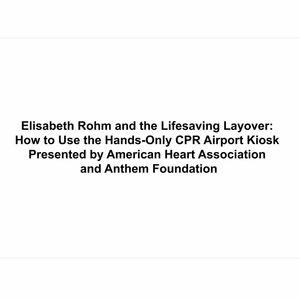 Lickenbrock learned Hands-Only CPR at the training kiosk at DFW International Airport in April 2015. Days later, he performed Hands-Only CPR on Ferguson after he was struck by lightning in a parking lot at the University of Dayton. 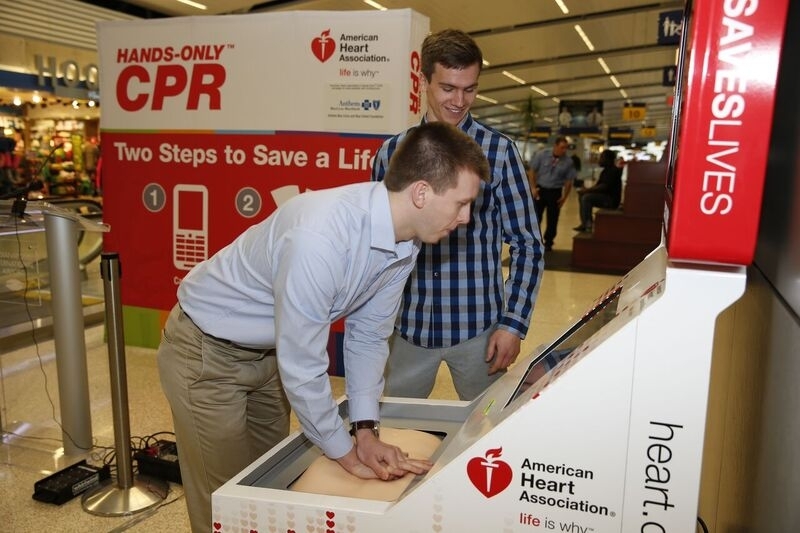 A traveler learns Hands-Only CPR on a kiosk at Indianapolis International Airport.